Getting back into the news this week with some film festival details, what’s going on at the UCLA Film & Television Archive, and much more! If you’re in the San Francisco area between Thursday and Sunday you might want to stop by the San Francisco Silent Film Festival. Celebrating its 20th year, this year’s program kicks off Thursday with a presentation of Rudolph Valentino’s Four Horsemen of the Apocalypse, and includes screenings of The Passion of Joan of Arc, Dragnet Girl, and Buster Keaton’s The Navigator. The awesome Lara of Backlots is covering the festival all week so if you’re unable to make it but still want to feel like you’re there head over to her website. Festival information is up at the event website. Maybe you’re visiting Los Angeles and want something to do? 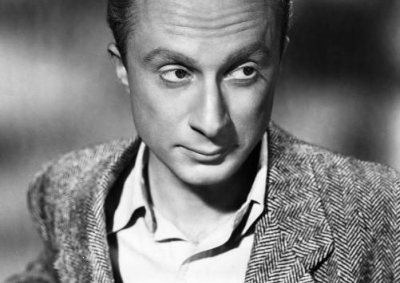 It’s the final weeks of Stages: Norman Lloyd and American Television. The last two presentations are May 30th and June 8th with presentations of Hollywood Television Theater and The Alfred Hitchcock Hour. The series is free at the Billy Wilder Theater in Westwood Village. Details and other information is up at the Stages page. Also presented by the UCLA Film & Television Archive is Robert Altman: A Retrospective from April 4th-June 29th. The Retrospective is showing many of Altman’s iconic movies including The Long Goodbye (May 29th), The Player (May 31st), and McCabe & Mrs. Miller (June 27th). 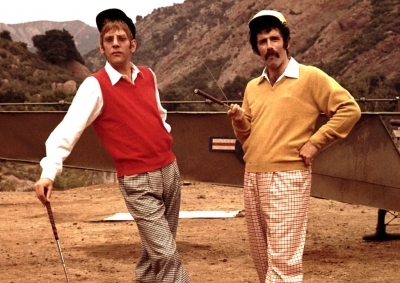 Co-stars and associates of Altman are also scheduled to attend select screenings for a Q&A, such as Elliot Gould, Keith Carradine, and Ryan Phillippe. Screenings take place at the Billy Wilder Theater in Westwood Village. To purchase tickets stop by the event website. This looks incredibly fun and if anyone stops by to take in a movie let us know how it went! Moving on to what’s going on with various television channels I don’t receive (just saying!). Sony Movie Channel is celebrating dads with a seven film Father’s Day Western Marathon on June 15th. Throughout the day you can catch airings of Silverado, The Man From Laramie and They Came to Cordura. A full line-up of the month’s features and times for their Father’s Day marathon are up now at the Sony Movie Channel site. And getTv celebrates blonde bombshells all month long starting June 1st. Look for tributes to Goldie Hawn, Marilyn Monroe, Kim Novak and Anita Ekberg; Thursdays in June are being given over to Novak with several of her iconic roles playing. Other tributes are being given to Robert Cummings, Judy Holliday, and Ralph Bellamy in June. If you receive getTv I remain jealous of you! The full-lineup of movies is posted at getTV’s website. Warner Archive: Clark Gable is the man of the hour in this week’s releases with Test Pilot (1938), Hell Divers (1931), After Office Hours (1935), and Parnell (1937) hitting DVD. There’s also another package of Monogram Cowboy films coming out featuring twelve of the studios Westerns. Also new: Brian Keith in The Violent Road (1958), recently deceased Efram Zimbalist Jr in A Fever in the Blood (1961), and Natalie Wood in The Girl He Left Behind (1956). You can order all of these manufactured on-demand titles via WarnerArchive.com. Kino: Kino is getting into the MGM game with a few classic titles receiving the Blu-ray treatment through them. July 22nd sees the release of Witness for the Prosecution (1957). July 29th: Duel at Diablo (1966), Marty (1955), Paris Blues (1961), and Separate Tables (1958). Kino’s said other MGM titles are forthcoming but no schedule’s been announced. 20th Century Fox: Alongside a new wave in their Cinema Archive collection, 20th Century Fox announced a June 3rd release date for their Man With No Name Trilogy. The Clint Eastwood series of spaghetti Westerns are hitting Blu-ray for the first time in a set, with a newly remastered presentation of The Good, The Bad, and the Ugly. On top of that, there’s five hours of bonus content including audio commentary, a two-part featurette on composer Ennio Morricone, and various deleted scenes, vignettes, and making-of’s. Also, fifteen additional titles are being released through Fox’s Cinema Archives series; Springtime in the Rockies (1942), Chad Hanna (1940), Woman’s World (1954), The Bottom of the Bottle (1956), and Maryland (1940) are all available as of right now. Coming on June 3rd: Blood and Steel (1959), The Cisco Kid (1931), Hold That Co-Ed (1938), and Crack-Up (1936); June 10th: The Cowboy and the Blonde (1941), Here Comes Trouble (1936), and I Was an Adventuress (1940); and on June 17th: Everbody’s Baby (1939), Girl Trouble (1942), and The Escape (1939). All of the movies released through Fox Cinema Archives are manufactured on-demand. Thanks for the shout-out! I wish you could come to the Silent Film Festival, it’s going to be a blast. Anytime! I’m sad to miss it, but maybe next year. If anything, it’s cheaper and easier for me to get to San Fran than L.A.